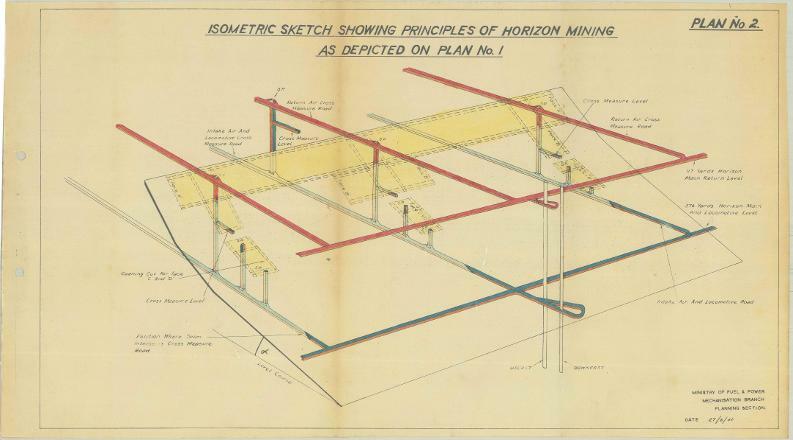 “Principles of Horizon Mining”, in National Coal Board Brochure of Typical Layout Plans for Horizon Mining, 26 March 1947. From the P D Ruffle Collection, University of Newcastle, Cultural Collections. Feeders to the conveyor belt. West Wallsend Number 2 Colliery,. Courtesy of Brian R Andrews. 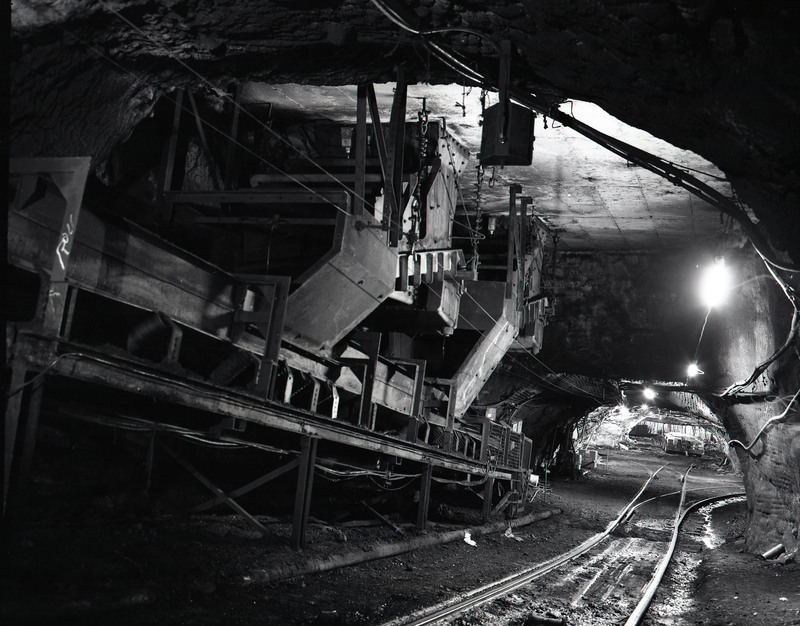 Underground mining is one of the oldest forms of mining, with its beginnings in convict mining in Newcastle. Underground mines still exist in the Hunter Valley today, though open-cut mining has become more popular. Early underground mines were shallow ‘surface extractions’. The capabilities of new technologies allowed for ‘deep shaft mining’. This type of underground mining took a lot of planning, where tunnels were built to and from ventilation shafts and rail shafts to allow for the carting out of loads of coal. Sometimes horses were used to haul full coal carts from underground. Safety regulations and the development of new technologies such as roof bolting have made underground mining safer, which was hazardous because of dangers such as roof collapse, fire and the build up of poisonous gases. While in the past, underground mining was done by pick-and-axe extraction, the continuous miner and other similar machines of today have made underground mining more efficient.